Dendritic Agate has a unique look unlike any other gemstone. The Dendritic agate with its random patterns and cool pallet add a decorative design element to your jewelry pieces. 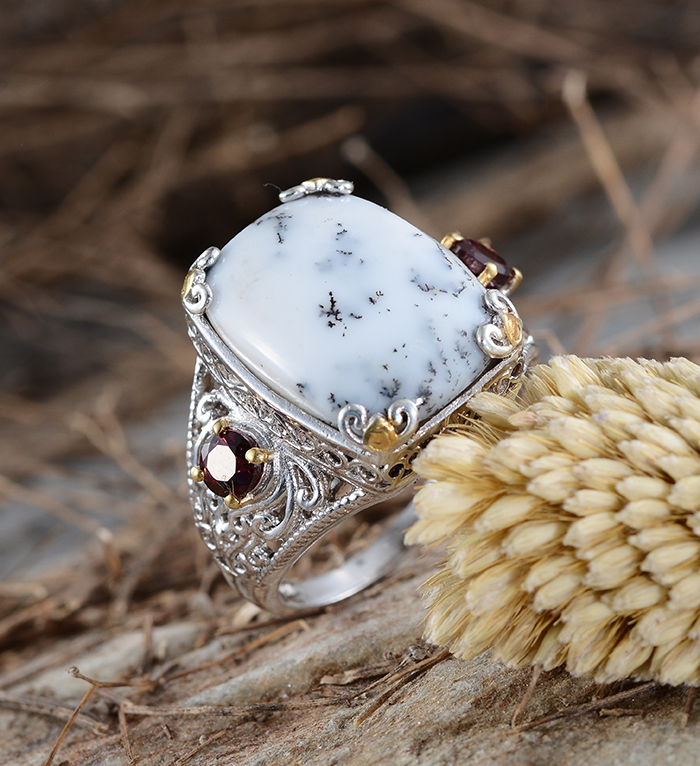 The agate is known for its playful array of plant-like patterns. A gemstone prized amongst jewelry and gemstone collectors. The natural coloring of the dendritic agate varies from a whitish-gray to a colorless chalcedony with a tree or plant-like markings. The markings in dendritic agate are called dendrites; they are iron or manganese inclusions. Dendrite patterns display in colors of brown and black. Although these patterns appear to be organic due to their fern and plant-like structure they are inorganic. The inorganic traces are formed by iron or manganese from neighboring crystalized rocks after trickling through the thin surface fractures in the agate. 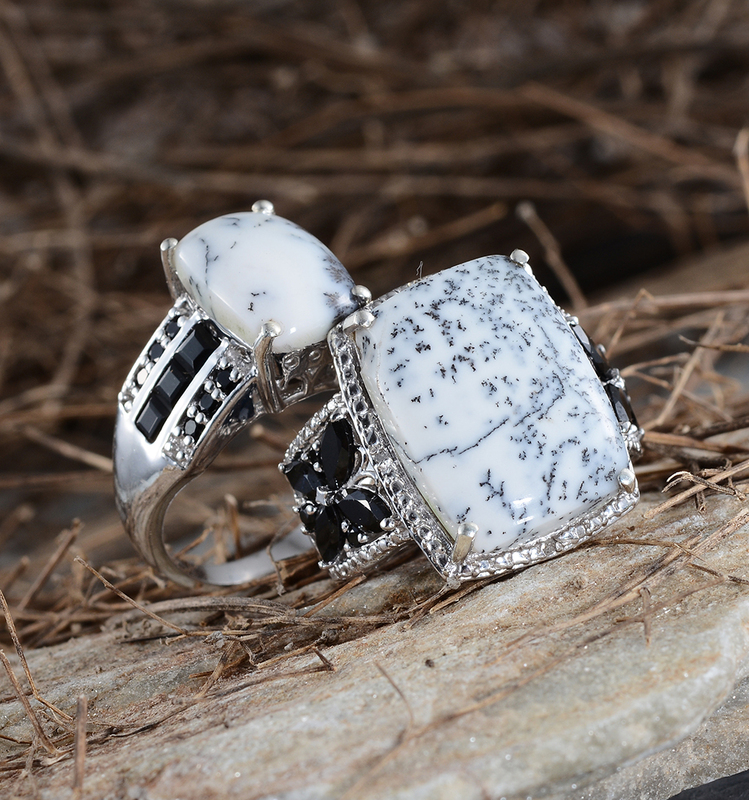 Dendritic agate has been used for many years in the making of jewelry. The world famous Russian jeweler Carl Faberge used the agate along with diamonds and other precious stones in many of his design pieces. Dendritic agate can be quite difficult to cut due to the dendritic inclusions that occur at various depths within the rough of the stone. To expose the most interesting and unique patterns the lapidary needs to cut the material of the stone. Agates generated a world-renowned stone cutting and polishing industry in Germany that has flourished from the 15th to the 19th century and still exists today. 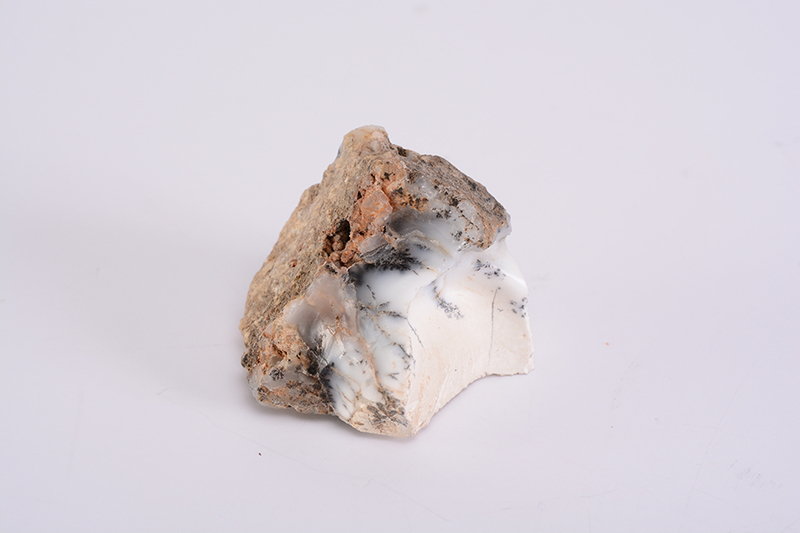 Dendritic agates have been tracked back to the Neolithic period. During the Bronze Age Dendritic agate artifacts such as healing amulets and ornaments were found in the mysterious city of Babylon. " 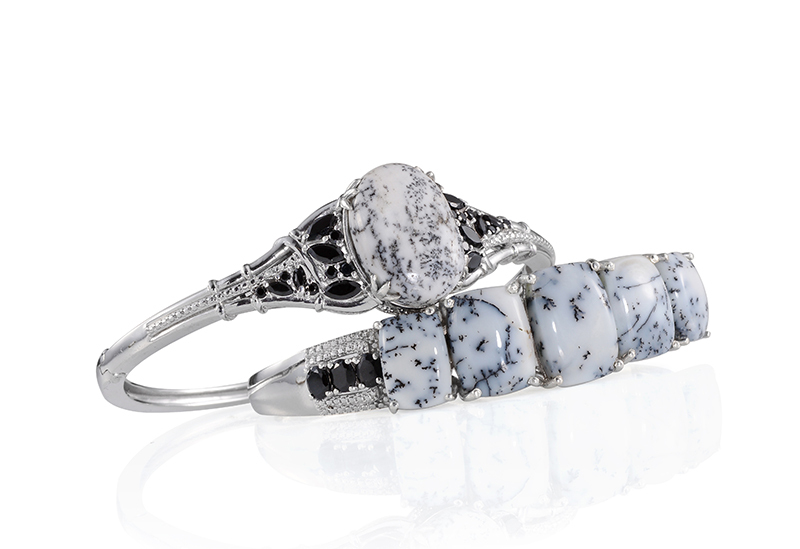 • Dendritic agate is prized in Russia as a stone of longevity good health and prosperity. 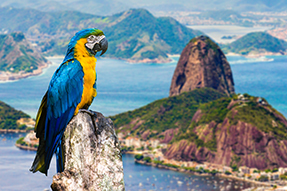 • Its medicinal uses continued through the ancient Greek and Egyptian civilizations and spread throughout Africa and the Middle East into Russia. • Dendritic Agate is said to bring fullness and abundance to all areas of life. It is the stone of plenitude. • It creates a peaceful environment and encourages the enjoyment of each moment and deepens your connection to the earth. • Dendritic Agate brings stability in times of strife or confusion; it lends perseverance and the ability to see difficulties as a challenge and opens and aligns the chakras. Dendritic Agate can be found several areas such as: Brazil India Mexico USA Kazakhstan and Madagascar. • Since chalcedony has no cleavage it is quite durable and can be used for a wide variety of jewelry designs.